One of the main benefits of the Internet compared to other media is the measurability of data. Because the Internet is digital, almost everything is measurable. The number of visitors that visit your site, number of times a banner is show, number conversions etcetera. 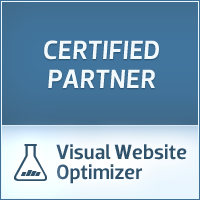 Web statistics are essential in order to obtain important insights. These information is readily available through web analytics software (e.g. Google Analytics). You can gain a lot of valuable insights if your web statistics are analysed correctly. Based on this, you can evaluate your site and make (necessary) improvements. In combination with search engine marketing, search engine optimization and conversion optimization web statistics will allow you to take your website to the next step. The Online Marketers of Africa Online Marketing are all Google Analytics Qualified Individuals. This means that your display campaign is in safe and experienced hands. Africa Online Marketing helps you with setting up the account, billing and reporting. At the same time, we maximize your results by analysing your campaigns meticulously and implement changes to optimize your campaigns based on our extensive analyses. PROFESSIONAL, EXPERIENCED and TRUSTED. Africa Online Marketing is part of Africa Business Communities.